Kuthira Malika means “Horse Palace”. This 18th Century Palace constructed by Maharaja Swathi Thirunal got its name from the enormous wooden statues of Horses on the outside of the Palace. 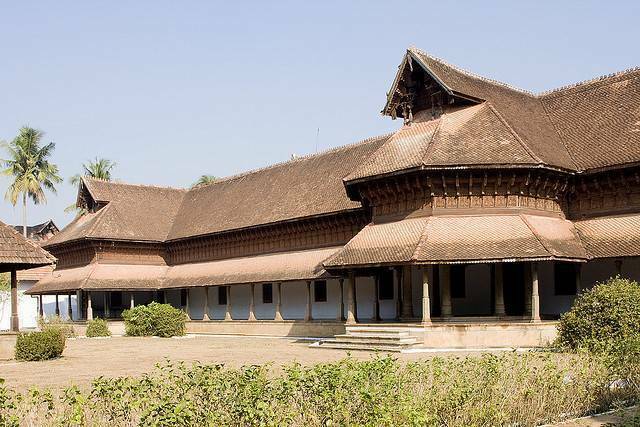 The palace is an epitome of the typical Kerala architecture.It has two storeys and as many as 80 spacious rooms. Today the Palace hosts a museum with Armory of Kings, Portraits, Thrones and several other artifacts on display, which take a visitor on a tour of the ancient Travancore Kingdom. The wooden carvings, Huge Chandeliers, amazing Belgian Mirrors, intricately carved marble sculptures etc. of the Palace leave one spellbound.